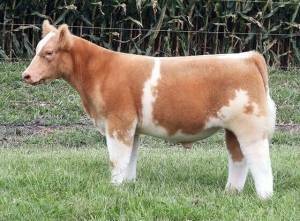 The second hottest line of genetics for show champions after Monopoly is MAB. 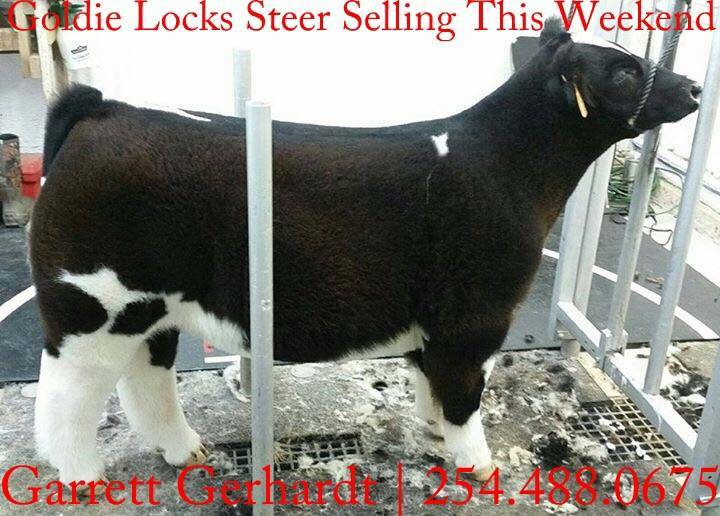 Here is the best colored MAB son of 2015. 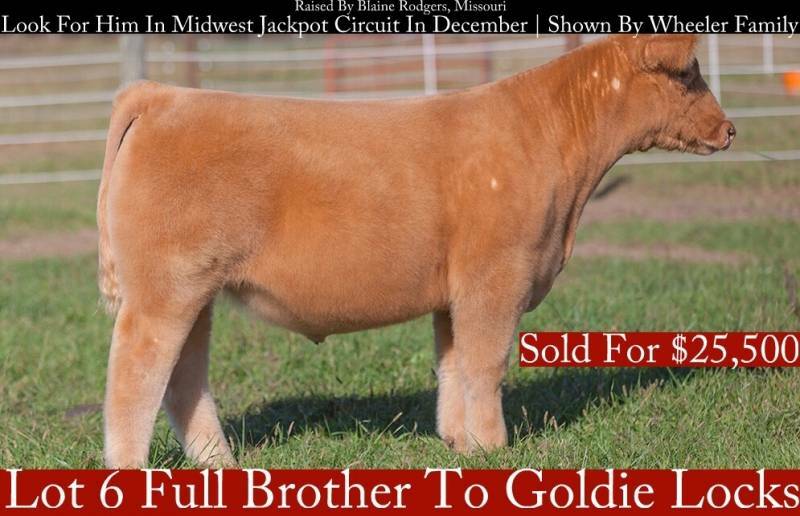 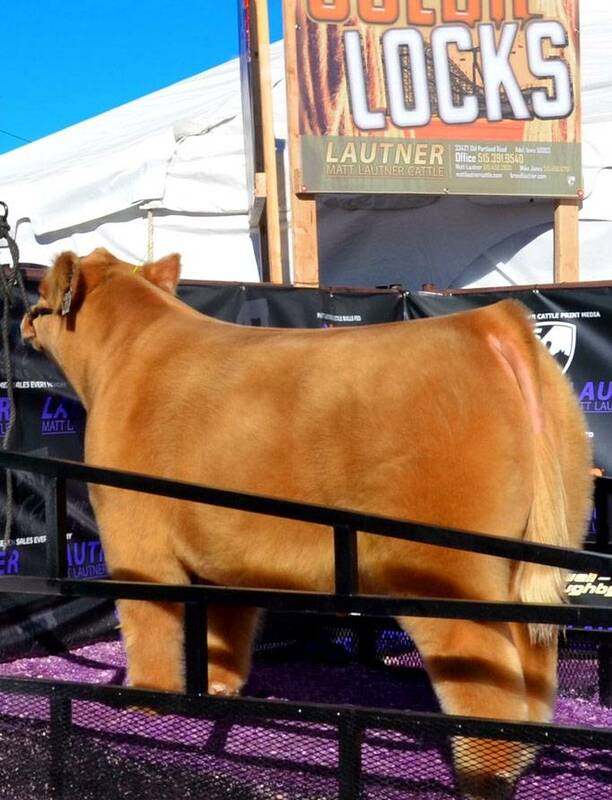 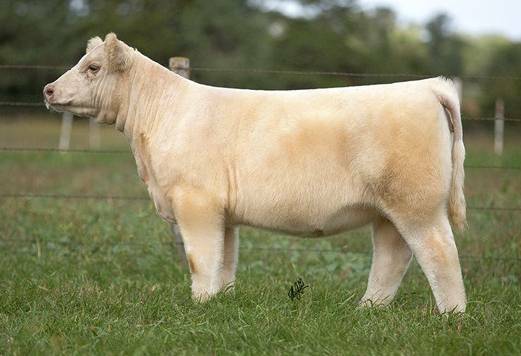 Goldie Locks is an extremely smooth shouldered and stout version of MAB. 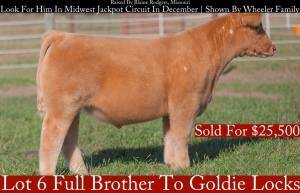 He is backed by one of Blaine Rodgers top donors in his reputable program with blood lines descending from Droupa & Boysel's M51 donor. 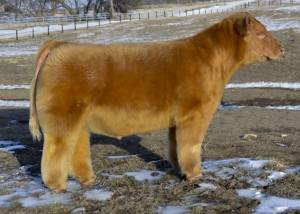 A full sister was shown in 2014 by Sydney Schnoor and we feel this gold colored bull will add value and consistency to your next calf crop.